When you get to the end of a book on your Kindle (version 3 & up), you get the chance to give a star rating. 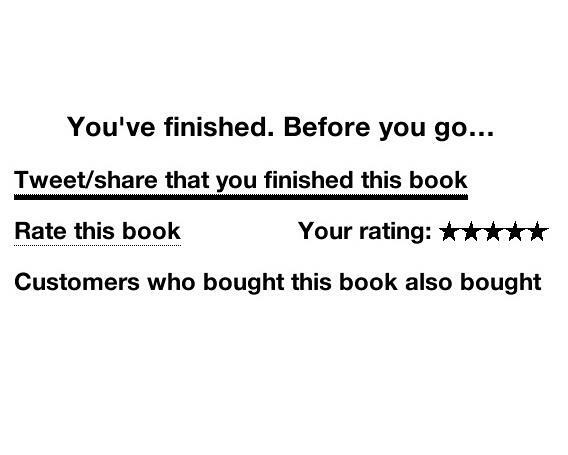 This star rating does NOT rate the book on its amazon sale page.... instead it's a rating for you if you share on FB/ twitter, and listed on your personal page on amazon. All your books are listed at https://kindle.amazon.com/ - here you see your ratings, what you have finished reading, your notes & highlights (these are private unless you OPT to make them public). To manage whether these are private or public, on Kindle go to Menu > settings, scroll through the Annotations back up and other options. Toggle on and off. 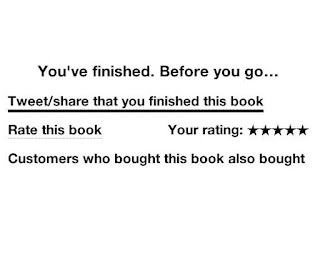 In settings you can also manage your tweet/ facebook options so you can share your book ratings with friends. To go and look at this rating page on your Kindle, enter a book then menu > go to > then select end.